To reduce the risk of a number of costly and damaging gutter issues while also improving the efficiency and curbside appeal, seamless gutter installations in Philadelphia, PA may be the perfect solution for you! In fact, in recent years FX Remodeling & Exteriors technicians have been performing more seamless gutter installations in Philadelphia, PA than all other gutter installations combined! 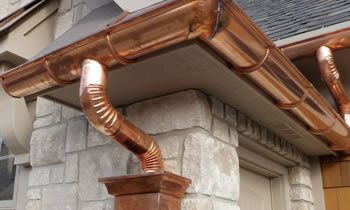 If you’re interested in a new, more reliable exterior home drainage system, designed specifically for your home’s dimensions and needs then contact our specialized seamless gutter Philadelphia, PA contractors to receive a free, at-home estimate for your home’s customized seamless gutter services in Philadelphia, PA. The benefits of having seamless gutters in Philadelphia, PA include points on everything from your home’s exterior appearance and property value to its need for maintenance and likelihood of being damaged, meaning that homeowners like you can have an abundance of reasons to consider this fairly new advancement in the world of home exterior materials! In fact, so many homeowners are recognizing these advances and transitioning from traditional gutter installations in Philadelphia, PA to seamless gutters that Philadelphia, PA remodeling specialists are projecting seamless gutters as becoming the universal standard within just a few years! Get ahead of the curve and contact our trained specialists on seamless gutters in Philadelphia, PA today to schedule your free estimate!